Everyone has different tooth brushing routines, from whether you leave the water running while you brush to selecting water temperature preference. But unless you use a cup to collect water to rinse after brushing, it could mean ducking your head under the faucet or scooping a slurp with your free palm. Awkward. Try the Rinser Brush instead. 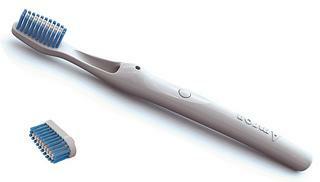 At a glance, the Rinser Brush looks like your ordinary device found in any drug store. 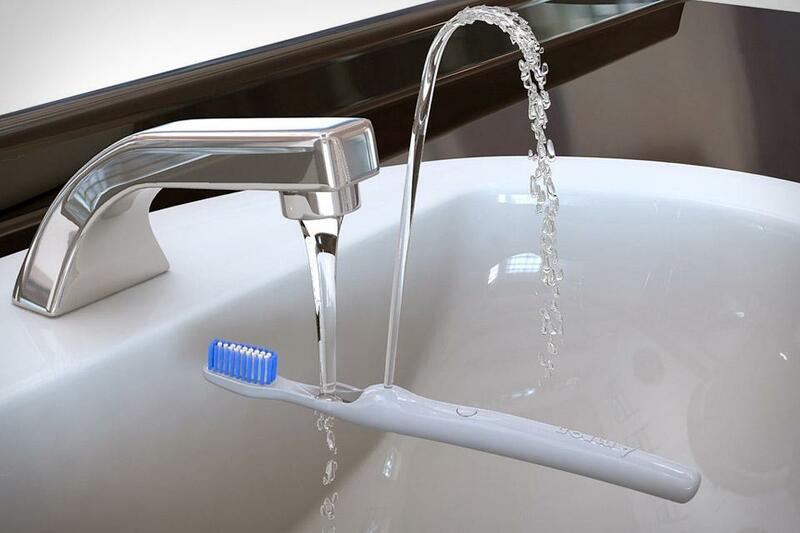 The special feature lies in the built-in scoop that pushes water from your faucet upward so you essentially get a drinking fountain to help finish off the brush. If you want to just clean off the bristles without splashing yourself, just let go of the fountain button to disable the scoop feature. The simple design addresses such a basic convenience that we’re not even sure we ever needed this… but now that the opportunity presented itself, it makes us wonder why we never had the technology in the first place. Instead of buying a new toothbrush every few months, product maker Scott Amron of Amron Experimental also offers replaceable, detachable heads so you can hold on to the Rinser Brush wand. It is unclear whether the lineup will include various size and bristle firmness options. Of course, do expect to pay a price for convenience. While the Rinser Brush is still a prototype, pre-orders for the item are currently being accepted at $22 a pop. This guarantees a November delivery, just in time to brush and rinse off all the turkey you’ll be eating on Thanksgiving. The pre-order even extends up to 900 Rinser Brushes for $9,500, giving you a total of 70 percent savings if you plan to resell them, have enough toothbrushes to last a lifetime, or hand one to every person in your life. Buying more than 1,000 brushes also allows you the opportunity to customize your wand color. What do you think of the Rinser Brush? Formulate your thoughts while you watch the video below to see the prototype in action.